Rent Plaza Suites | Corporate Events | Wedding Locations, Event Spaces and Party Venues. Minutes from the Santa Clara Convention Center, Levis Stadium and all the tech titans, the guest stay experience is welcoming at every turn. The suites and amenities meet and exceed the expectations of the frequent traveller who demands a mix of comfort, privacy and inspiration together with truly attentive service. The guest experience is of being well-tended to and respected. Whatever your reason for a visit may be, it is important to us. Your time, comfort and convenience are as precious to us as to you. Our modern and functional board room setting offers up to ten participants access to our Smart Technologies 70" interactive Display, complete with Polycom video conferencing (You can also use Bluejeans Bridge to connect with almost any other video conference connection). Our boutique meeting space can host up to 50 participants in a classroom setting. Ideal for meetings and events, offering state if the art technology including 113 inch drop down screen and built in projector with surround sound. 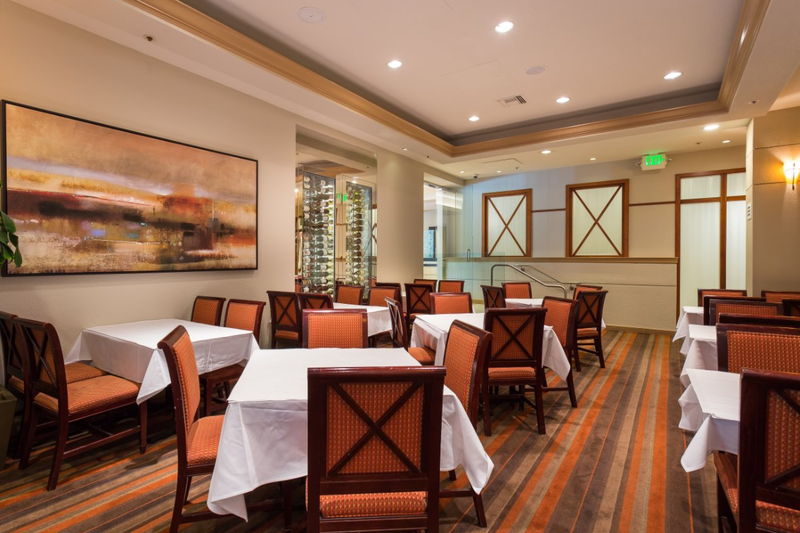 Filled with natural sunlight and no obstructions, our Santa Clara space is a blank canvas for your ideal occasion. Other options available for you include: private dining, semi-private dining, and plated dining. Contact us for more information.